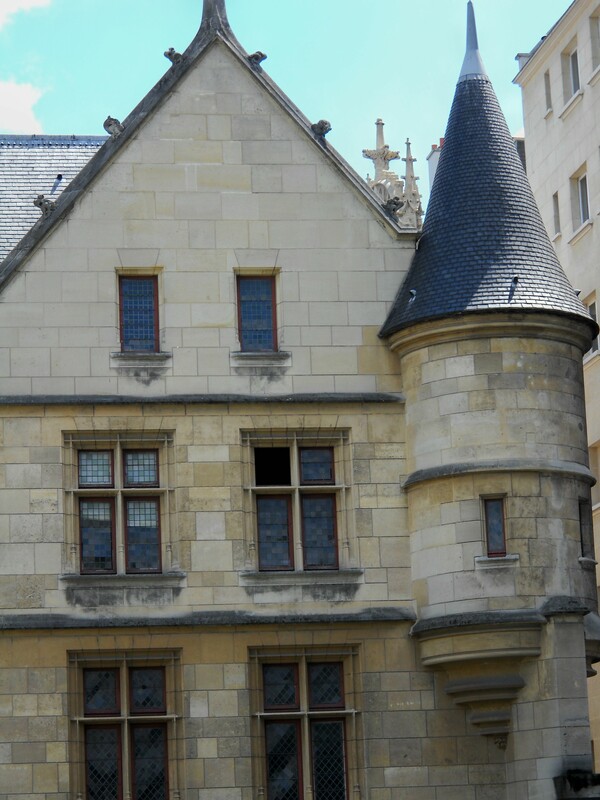 The Hôtel de Sens, built in 1475, is one of the few remaining Medieval buildings in Paris. The Experienced Travellers sought history and art. Visits to the Marais neighborhood, and tickets to the blockbuster Monet exhibit at the Grand Palais were both su–perrrr. History first! 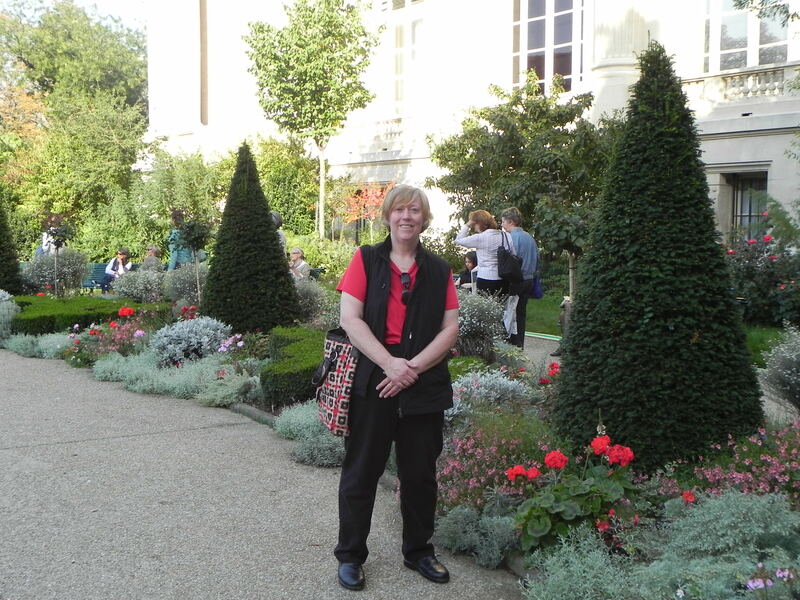 The ETs walked Nurse’s wheels off exploring the Marais, the Ile St. Louis and the Ile de la Cite. 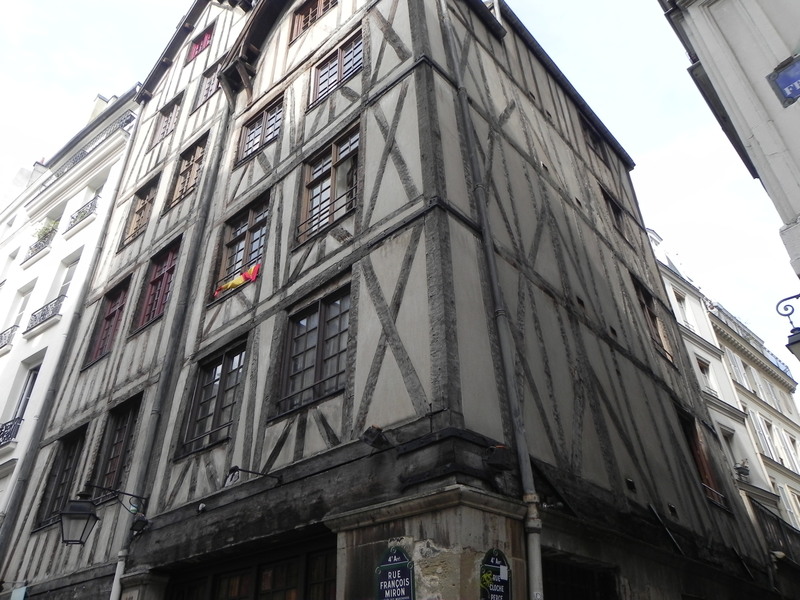 This part of Paris holds the core of her history, and many of the remaining Medieval and Renaissance buildings are found here. 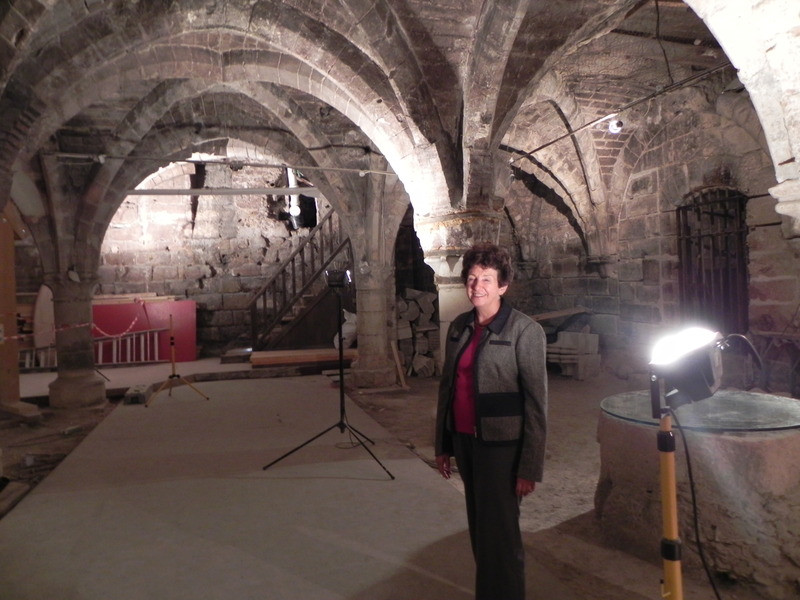 We stumbled on the Paris Historical Society, where I got a private tour of 13th century Cistercian cellars. ﻿﻿﻿I was delighted with the damp musty smell of old stone. The cellars are under an outbuilding of the Cistercian abbey of Ourscamp. The house is listed as Ancient Monument for its facade, its roof and its stairs. The stairs merit careful attention from descending ETs. They slope inward from centuries of enthusiastic, wine-toting Cistercians. My guide was wonderful, spoke slowly, and complimented me on my French (donation, 2 euro). Then she remarked that I had a fine knowldege of Parisian history (donation up to 5 euro) and that my accent was very good (donation is now 10 euro). Keep her on the payroll. But it’s not just ancient streets and tales of tipsy monks. 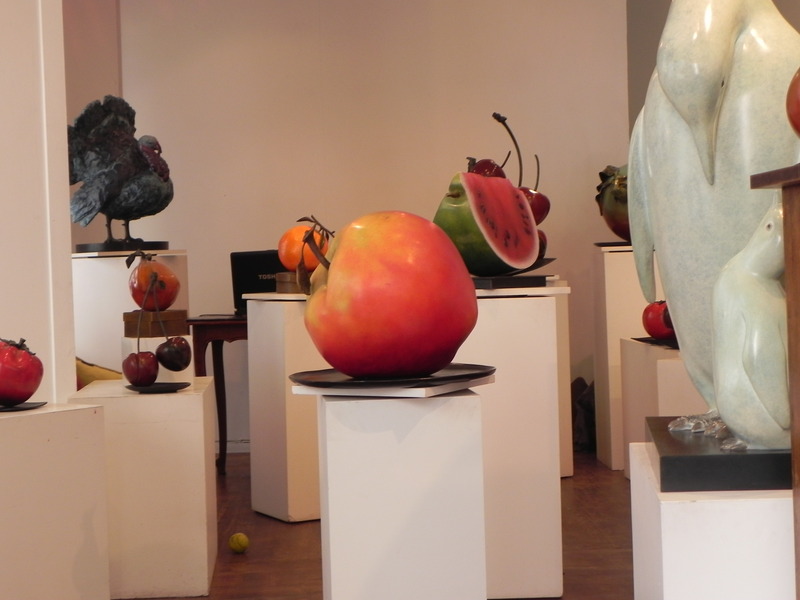 Paris’ historic buildings coexist with contemporary art galleries and chic shops. These proprieters should take a lesson from my guide and dole out more compliments to tourists. It’s quite lucrative. ETs are balanced travellers – it’s not just about food and shopping. The Monet exhibit is the art happening of the season and the ETs were right in the mix. We cut the line again, thanks to Nurse’s 10-speed walker (I guess sciatica has a few benefits!). And Monet was a balanced guy too. His depictions of people and domestic life are as beautiful as the famous water lilies. A bit of literary trivia; devoted readers of Proust will recognize Monet as the model for “Elstir” the painter. 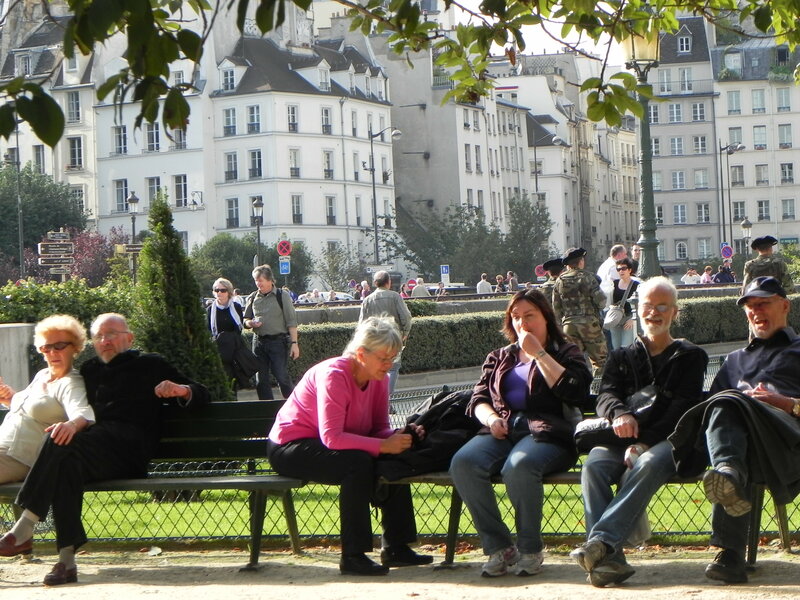 Between our connection with the past in the Marais and the inspiration of Monet’s painting, the ETs are full of critical thinking and academic discussion. This requires a glass of wine in convivial surroundings to sort it all out. This entry was posted on October 8, 2010 at 4:12 pm and is filed under Uncategorized. You can follow any responses to this entry through the RSS 2.0 feed. You can leave a response, or trackback from your own site. Eh… It’s not real money. And what fun! The pictures and travelogue are fantastic! Nah Tim, is only Monopoly money so who cares.